It is estimated that the United States will have over 1 million job openings in STEM-related (Science, Technology, Engineering, and Mathematics) fields and occupations by 2018. Salem's new series explores the fields and occupations of science and other emerging fields, emphasising STEM occupations and outlooks and green technologies where applicable. Written for high school and undergraduate students as well as general nonspecialists, this series will provide much needed insight into the career opportunities of this growing filed. 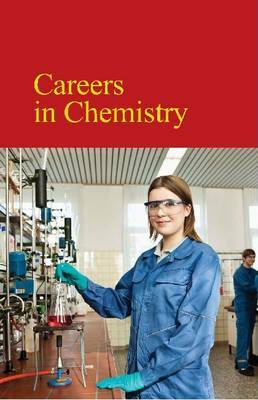 The first title in the series contains over 20 profiles of branches or fields of physics such as Astrophysics, Civil Engineering, Cryogenics and Quantum Physics and over twenty corresponding occupational profiles that highlight a particular career within that branch or field. All essays are written by authors with expertise in science or a related field. Among the fields/careers covered are: Acoustics - Sound Engineering Technician Aeronautics and Aviation - Aerospace Engineer Astrophysics - Astrophysicist Atmospheric Physics - Meteorologist Atomic and Molecular Physics - Atomic/Molecular Physicist Biophysics - Biophysicist Civil Engineering - Civil Engineer Classical or Applied Mechanics - Mechanical Engineer Condensed Matter Physics - Accelerator Physicist Cryogenics - Cryogenic Engineer Electrical Engineering - Electrical Engineer Environmental Physics - Environmental Engineer Fluid Dynamics - Hydrologist Geophysics - Oceanographer Nanotechnology - Nanosystems Engineer Nuclear Medicine - Nuclear Medicine Technologist Nuclear Physics - Nuclear Monitoring Technician Optics - Photonic Engineer Quantum Physics - Quantum Physicist Solid Mechanics - Materials Physicist Systems Engineering - Robotics Engineer Thermodynamics - Thermodynamics EngineerThe essays on the fields of physics include Core Concepts; Applications Past and Present; Impact on Industry; and Social Context and Future Prospect. Also included is a fact-based overview of the branch or subfield it covers. The essays on the corresponding occupation profiles include Education and Coursework; Daily Tasks and Technology; Earnings and Employment Outlook; and Related Occupations. Further reading suggestions accompany all science articles and a listing of occupational web resources accompany all occupational profiles. Every entry also includes sidebars, photos, and graphs illustrating key concepts.